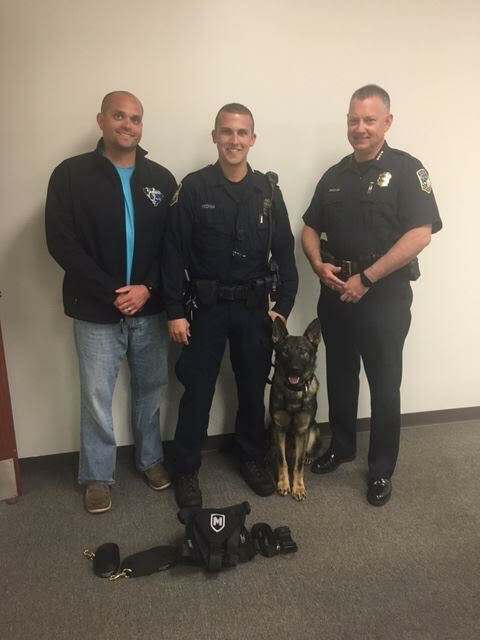 After receiving a letter requesting assistance with K-9 equipment we were happy to approve this request and honored to assist the Easley Police Department with gear for their K-9 Rex. The Hyco K-9 Fund provided 3 tracking leads- 6′, 20′ and 30′, a tracking harness and a collar all by Modern ICON. Pictured below L to R Brandon Surratt, Jose Medina, K-9 Rex and Chief Tollison.